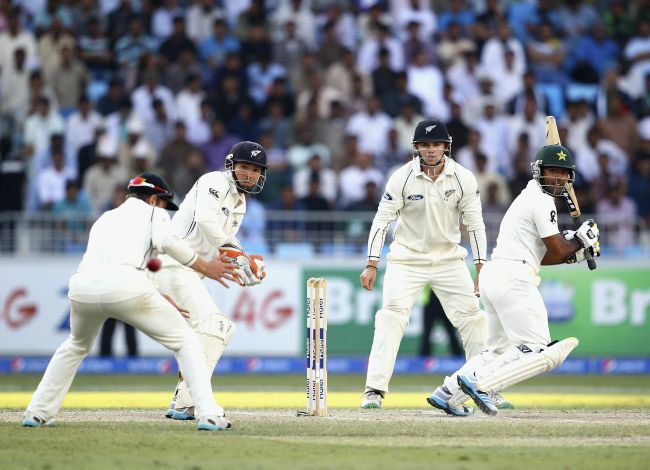 A defiant fifth-wicket stand of 74 between Younis Khan and Asad Shafiq ensured Pakistan secured a draw in the second Test against New Zealand on Friday to maintain a 1-0 lead in the three-match series. Chasing 261 for victory, Pakistan were 196 for five when the teams agreed to a draw in fading light, with Shafiq (41) and first-innings centurion Sarfraz Ahmed (24) unbeaten at the crease. 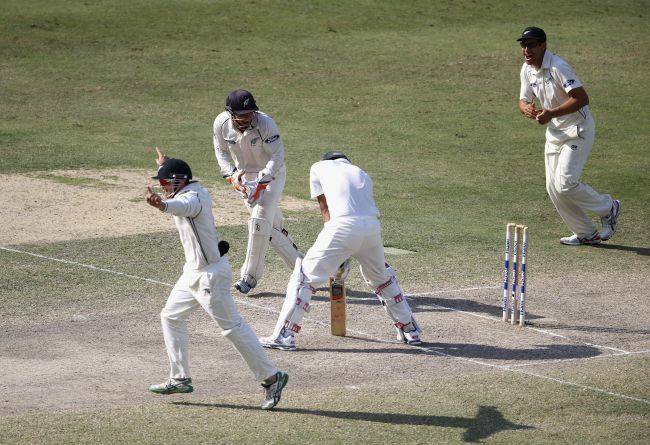 "It was a very good Test match... It was the right result for both teams," New Zealand captain Brendon McCullum said at the presentation ceremony. Younis (44) fell late in the last session to off-spinner Mark Craig, but had steadied the ship after a mini-collapse threatened to swing the match New Zealand's way. Pakistan were comfortably placed at 70 for one but were reduced to 75 for four in the space of a few overs. Coming back to bowl after a four-over spell in the morning, left-armer Trent Boult dismissed opener Shan Masood (40) leg before and then had captain Misbah-ul-Haq caught behind in his next over. Masood had added 62 for the second wicket with Azhar Ali (24) before the latter threw away his wicket, hitting a full toss from Craig to James Neesham at cover. "We were planning to chase it down, bat normally till the 40-45th over and then promote Sarfraz," Misbah said. "But we lost three wickets in three-four overs and that changed everything,” he added. The hosts had suffered an early jolt in their chase when paceman Tim Southee removed opener Taufeeq Umar for four in his first over, the second of the innings. Younis struck three sixes and two boundaries during his 84-ball knock to calm Pakistan's nerves. 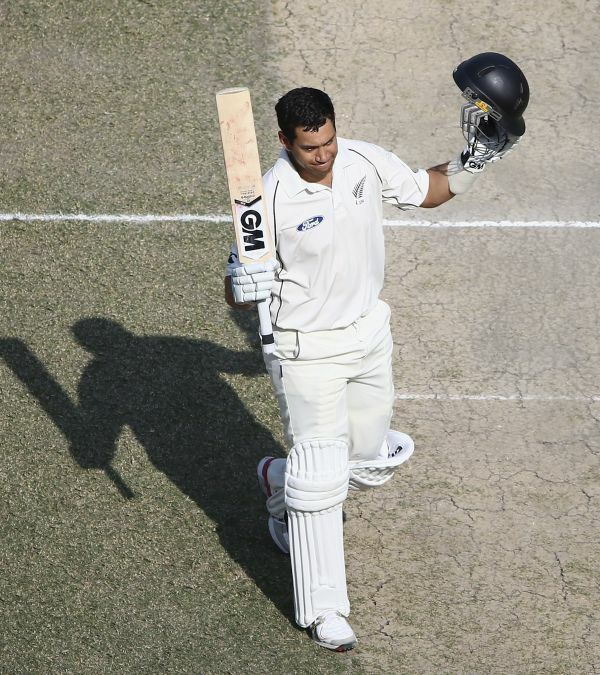 Earlier, Ross Taylor completed his 12th Test century before New Zealand declared their second innings on 250 for nine. Former skipper Taylor, unbeaten on 77 overnight, tapped paceman Ehsan Adil on the leg side for a single to reach his mark, his innings studded with 12 boundaries. The 30-year-old right-handed batsman was stumped on 104 to give leg-spinner Yasir Shah his first five-wicket haul in Tests. Taylor had added a crucial 60 for the seventh wicket with Craig (34). Southee whacked 20 in five balls, with three consecutive sixes off left-arm spinner Zulfiqar Babar (4-96) to boost New Zealand's total.